I wanted to share some Festive Holiday Nail inspiration with you today. These nails got the stamp of approval from my 4 year old cousin so I know you're going to like them. If you want to check out the festive nails I did for Blogmas last last year, you can find that here. 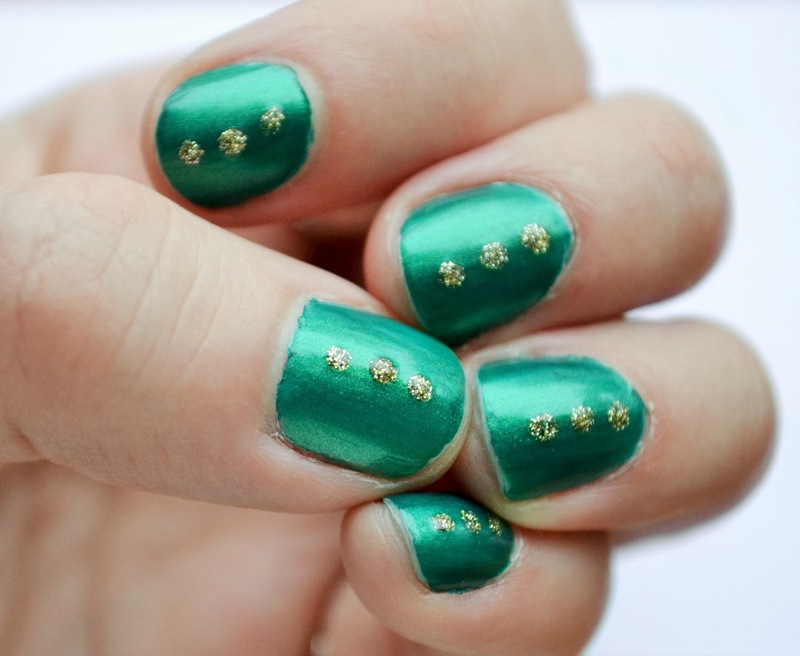 This is a really simple way to make your nails look a little more festive. I painted my nails green (I just used some dollar nail polish because it was my only forest green one). I then took a tooth pick and cut a bit of the end off to give it a flat surface for dotting. I then dipped the toothpick into some sparkly gold nail polish from Maybelline and did 3 vertical dots on my nails. I let it dry a little and finished with my Formula X top coat. I was very happy with how it turned out. Let me know what you think! Remember to come back tomorrow for more of the 12 Days of Blogmas!